The Assembly of Bishops Research Coordinator, Alexei Krindatch, has prepared a range of reports on Orthodox Christianity in America. Along with the following research summaries, the full reports are available in PDF format. In the US today, there are approximately 800,000 Orthodox “adherents”— persons who participate (either regularly or occasionally) in the life of an Orthodox parish. 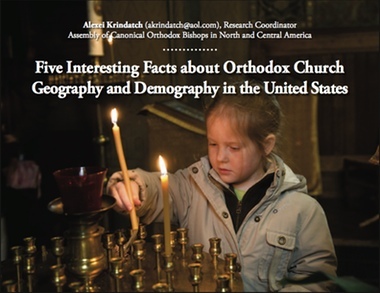 This report provides detailed geographic information about Orthodox Church adherents, parishes, and monasteries in the US, including: geographic distribution of parishes and adherents by state and county; a state-by-state look at which jurisdictions have the largest numbers of adherents; and state-by-state and county-by-county growth in the number of Orthodox parishes between the period of 2000-2010. 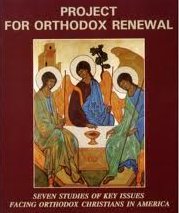 In addition this report offers discussion on possible regions for the future founding of new Orthodox parishes. The report is accompanied by six state and county-level maps. In the US today, there are approximately 800,000 Orthodox adherents, yet only 26% of them attend church on a regular weekly basis. This report explores regularity of church attendance by jurisdiction, state, and parish size. The report examines the correlation between parish size and frequency of church attendance. The report considers why some states have higher church attendance than others and suggests which states might make good “candidates” for new Orthodox parishes. The report is accompanied by three maps. This report is based on data from a national survey of Orthodox parishes administered in 2011. Each canonical Orthodox parish in the US was asked to respond to four questions on English-language usage during Sunday services and parish ethnic culture and identity. 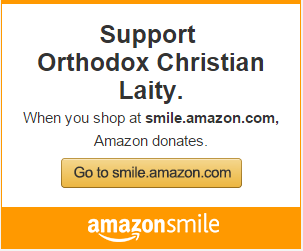 98.6% of all US Orthodox parishes participated in the survey. Results of this study are presented jurisdiction-by-jurisdiction and also state-by-state. Special attention is given to the question of measuring the strength of ethnic identity and ethnic culture in US Orthodox churches. The report also examines the correlation between ethnic identity/English language usage and regularity of church attendance. The report is accompanied by four maps. This report examines the budgets and overall financial health of parishes in the three largest American Orthodox jurisdictions—Greek Orthodox Archdiocese of America (GOA), Antiochian Orthodox Christian Archdiocese (AOCA), and Orthodox Church in America (OCA)—in the wake of the 2008-2009 recession. The report looks at the financial health of Orthodox parishes in 2000 vs. 2010; how the recession impacted parishes’ income, operations, and church members; and whether the three jurisdictions were equally affected by the recession. The report also compares the recession’s effect on Orthodox parishes versus Protestant congregations and Roman Catholic parishes. Results are based on a 2010 survey in which 368 GOA, AOCA, and OCA parishes participated. This report summarizes important information about membership in Orthodox churches in the US; regularity of church attendance; geographic distribution of Orthodox parishes; strength of ethnic culture in American Orthodox churches; and Orthodox monastic communities in the US. Data are presented jurisdiction-by-jurisdiction and state-by-state. The report is accompanied by seven maps. Geographically, how widespread are Orthodox churches throughout the territory of the United States? What proportion are Orthodox Church members of the general US population, state-by-state and county-by-county? Is there anything remarkable about the geography of US Orthodox churches? How “ethnic” are US Orthodox churches? What percentage of Orthodox Church members attend church on a weekly basis? The report is accompanied by five county and state-level maps.